I love growing dry corn varieties. Being able to make my own cornmeal muffins from corn I grew myself brings some kind of crazy satisfaction. Grow popcorn and you can grind it or use it for popping! But at the end of the drying season, the corn is all stuck to the cobs. 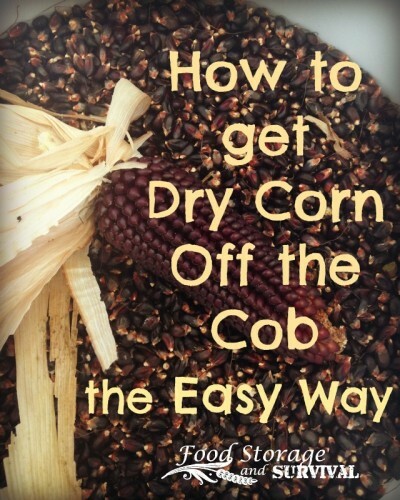 How do you get dry corn off the cob the easy way? Well, it turns out that corn cobs are perfectly designed to help you out. First, get a deep tub or bucket. A bucket works fine for one person, but if you’ve got more than one working you’ll want a larger tub. 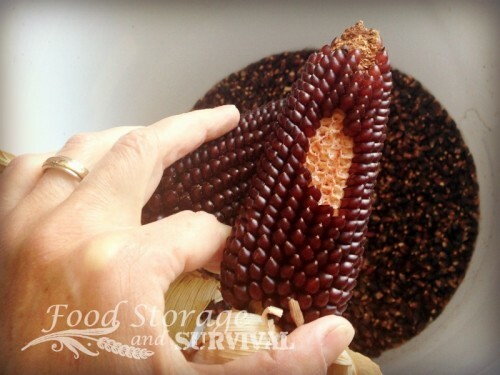 Pick two ears of corn and make sure the husks are peeled back or removed. This is Dakota Black Popcorn from Baker Creek Heirloom Seeds. Now rub the two ears together. You’ll need to apply pressure and you may find some angles work better than others. One or both of the ears should start dropping kernels from the spot that is being rubbed. 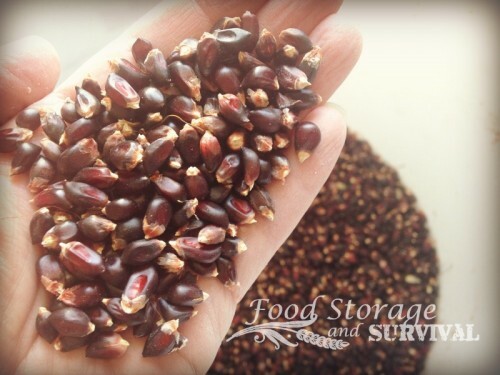 Sometimes (frequently) the kernels fly off with unpredictable trajectories which is why you want to be doing this in a container with high sides. You’ll probably still have a few jump out over the side. 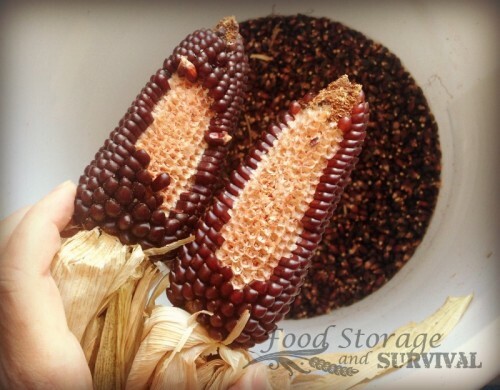 Keep rubbing them together until all the kernels have fallen off the cobs. Then get two new ears and start again. Occasionally, one of the ears will lose all its corn long before the other. Feel free to get a new cob to replace the empty one and continue rubbing the ear with corn kernels still attached. 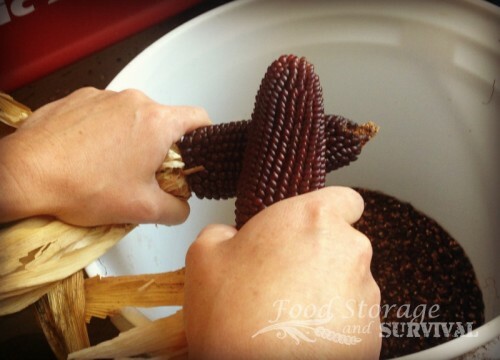 Shake the kernels outside in an open container or use a strainer to help get the chaff off. That’s it. 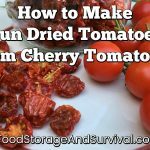 Use your new dry corn for cornmeal or popping!